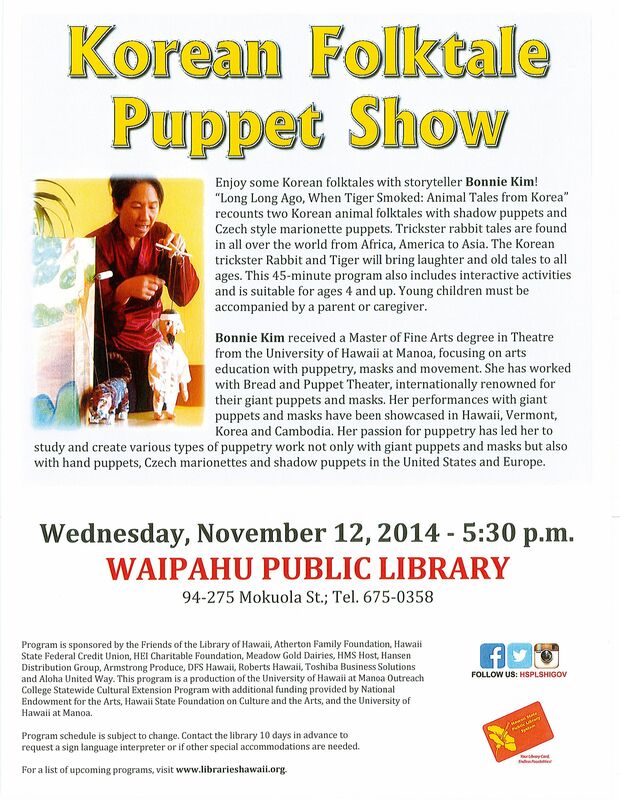 Attached is a flyer for Waipahu Public Library’s upcoming educational and cultural program entitled Bonnie Kim Korean Folktale Puppet Show. Please distribute to interested families and community members. The program is free and parking at the library is free in the evenings.